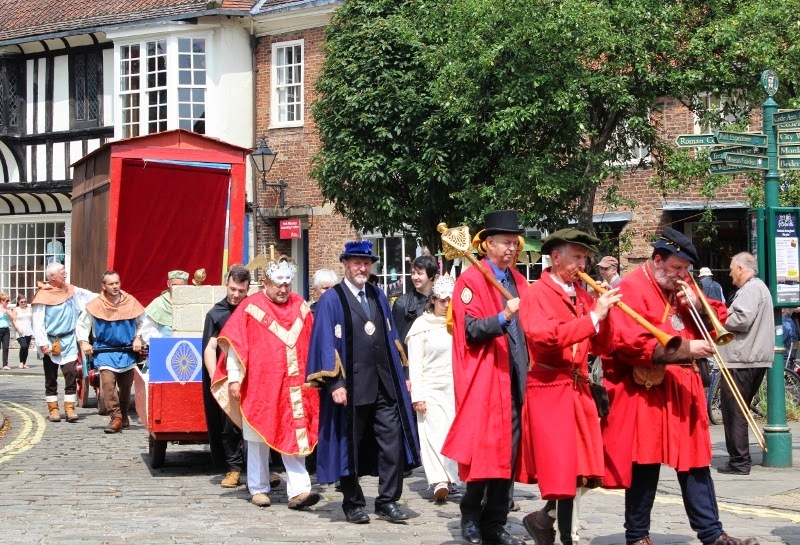 It is Mystery Play season again, here the York Guild of Building is on the move to their next venue with their play Creation of the World to the Fifth Day. I stopped by to take some pictures and stayed to enjoy the play. I rather like their clothing! That looks like fun, Deb!